Its harder these days for Older Adults to stay connected or to reconnect with old chums. Children and grandchildren may live far away. Many older friends have come and gone through a long life. Facebook is an excellent way for Senior Citizens to stay connected with loved ones. For most of their lives, Senior Citizens kept in touch via phone calls and letters. The Internet has changed the way humans communicate. In 2018, Facebook had over 21 million US users over the age of 65. Thus, some former classmates and buddies are active on the site. 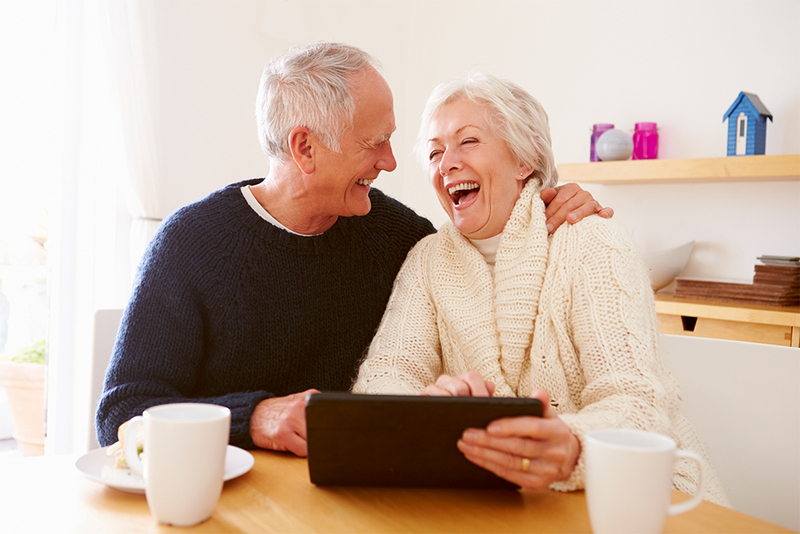 Older Adults will love seeing photos from children and grandchildren. Also, they can find new friends who share similar interests. Facebook is a social media site that launched in 2004. Originally, it was only open to students from specific colleges. Now the website is free to anyone over the age of 13 who has a valid email address. Users can create their profile with custom pictures. By sending and accepting “friend requests” through the site, users build connections. They can post pictures, texts, and links that are viewable to all their connected friends. The Facebook Feed lets you see your friends’ posts. You can also visit personalized pages to see what specific individuals have posted. This article will walk through the setup process and how to streamline the use of Facebook for Senior Citizens. Browsing the site is easy once you understand the basics. To set up your Facebook account, all you need is internet access (which you have if you are reading this blog) and either an email address or mobile phone number. Go to www.facebook.com and enter your information. Facebook will send a notification to verify your information. You will then create a password. This password will be used to log into your Facebook account. You log into a Facebook account by using the same email address and password from your account creation. Enter your log-in credentials in the text boxes on the top right of the homepage. You can log out anytime by selecting the drop-down menu (inverted triangle) at the top right of the blue navigation bar. After logging in, navigate to the profile. There are many sections here that ask for a lot of personal information. You do not have to complete all of this. Only share the information you want to be publicly available. Keep in mind that the profile page helps people rediscover you. So, it helps to include a picture and full name. Consider adding your alma mater to connect with former classmates. Find friends by typing a name into the search box on the top left of the blue navigation bar. Clicking the +Add Friend button will send a friend request which the person can accept or ignore. Other users can send friend requests to you. It’s a good rule only to take friend requests from people you know. Once you’re connected as friends, the other user can see your profile information and posted content. Users can also join groups and “like” pages for organizations and topics you enjoy. Facebook will populate the “feed” based on these connections. Users can create posts from the home page or profile page. Find the box that says “create post.” From here, type your information or click “photo/video” to upload a picture. You can tag friends in your post and Facebook will send them a message. All Facebook friends can see your posts. Facebook Messenger is a way for Senior Citizens to send a private message to one individual or a small group of people. These messages are private, similar to sending text messages. Access Facebook Messenger from the blue navigation bar at the top of the website. Click the icon of a speech bubble with a zig-zag lightning bolt. From here, you can view your messages or create a new message. Once you’ve set up an account on Facebook, come over to www.facebook.com/anitasangelsinc/. Click the “like” button to receive updates from Anita’s Angels in your Facebook feed. Our Certified Homemaker-Home Health Aide and in-home Companions can help Senior Citizens stay connected with family and friends. We are Families Helping Families. Call us to learn more at 908-788-9390.